Book a Suite Class stateroom and "Sail All Included" automatically! Traveling with family or friends? Each 3rd, 4th or 5th guest in your stateroom receives HALF OFF their cruise fare! Book with us and to take advantage of an additional bonus offer. For example, depending on what you book we'll give you Onboard Credits or Pre-Paid Gratuities, in addition to the gift(s) above! Cruise must be booked April 4, 2019 through May 1, 2019 (the "Offer Period") only. Offer applies to select select 4-night and longer voyages departing May 4, 2019 through April 30, 2021 only. Offer excludes Galapagos cruises. Offer provides each of the first two guests in a qualifying inside, ocean view, veranda, Concierge Class, or AquaClass stateroom their choice of selecting a non-refundable "Sail" rate (lowest available fare), a "Sail Plus" rate (their pick of two perks) or a "Sail All Included" rate (all four perks). Guests who select "Sail" will receive the lowest available cruise fare. The following restrictions are associated with selecting this option: a non-refundable deposit booking (“NRDB”) cancelled prior to final payment due date will receive a future cruise credit in the amount of the deposit minus a $100 per person service fee. FCC is non-transferable and expires after 12-months from issue date. $100 per person service fee applies to changes to NRDB ship or sail date. Applicable to groups at prevailing rates. Not applicable to incentive, contract, or charter groups. Nonrefundable deposit offers are not applicable to sailings within final payment. Guests who select "Sail Plus" are eligible to receive two amenities with their choice of two perks: Classic Beverage Package, Unlimited Internet Package, $150 per person onboard credit (“OBC”), or Prepaid Gratuities. For an additional charge, guests may receive four amenities with an upgrade to the Premium Beverage package by selecting “Sail All Included". Rate varies by length of voyage and stateroom category. Guests in the same stateroom must select the same option(s) at the time of booking. Pricing and availability wil reflect on Step 3 of the online booking process. Classic Beverage Package option includes beer up to $6 per serving, spirits, cocktails, and frozen drinks up to $8 per serving, wine by the glass up to $9 per serving, all soda selections, fresh squeezed and bottled juices, premium coffees, teas and non-premium bottled water, and server gratuities (amount based on gratuity guidelines). Classic Non-Alcoholic Beverage Package includes all soda selections, fresh squeezed and bottled juices, premium coffees, teas and non-premium bottled water and server gratuities (amount based on gratuity guidelines). Terms of Celebrity’s Alcohol Policy apply, including a minimum drinking age, which varies by itinerary. Each guest must provide date of birth at the time of booking. Upgrades to a Classic or Premium Beverage Package (if "Go Best" is not selected) are available at an additional charge, plus bar gratuities for each passenger. Celebrity's Premium Beverage package includes their entire selection of fine craft beers, top-shelf spirits, premium cocktails and wines-by-the-glass up to $13 per serving. Prepaid Gratuities option provides for prepaid stateroom, waiter, assistant waiter and head waiter gratuities in the amount suggested by Celebrity’s guidelines. Gratuities will be applied to reservation within 10 days of booking date. Guests with internet packages will receive instructions for internet access in their staterooms on the first day of the cruise. The guests’ stateroom folio will be credited with an OBC. OBC has no cash value, is applicable to cruise only, non-transferable, not redeemable for cash, and will expire if not used by 10:00 PM on the final night of the cruise. $150 onboard credit per person applies to the first two guests in a stateroom, up to a max of $300 per stateroom. Does not apply to third or fourth guests. 50% Off Savings: Savings (listed above as "HALF OFF") applies to the cruise fare of the third, fourth and fifth passengers booked in a triple, quad, or family stateroom. All savings are automatically applied and are reflected in the pricing displayed online. Not applicable to cruisetours. Offer is capacity controlled, availability varies by sailing and eligible staterooms may sell out at any moment. All offers are non-transferable and applicable only to the Qualifying Booking. Changes made to booking may result in removal of offer. Offer is not combinable with any other offer, promotion or discounted rate, including, but not limited to, Exciting Deals, Celebrity’s ChoiceAir®, Interline, Senior, resident rates, net rates, travel agent, and employee rates. No refunds or credits for unused options. 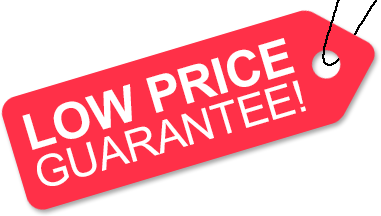 Offers and prices are subject to availability and change without notice, capacity controlled, and not applicable to charters or contracted groups. Single occupancy bookings are eligible for this offer. Every effort has been made to produce this information accurately; we reserve the right to correct errors. This offer may be modified or withdrawn without prior notice. Additional restrictions may apply.